Medical centers, hospitals and any other healthcare related organizations are responsible for protecting the personal health records (PHR) of their clients. Yet often times, storing such data in the cloud puts it at a major risk of attack, more so than if it is on the premises. This is because an organization's data typically shares a server with that of other organizations and isolation mechanisms that are put in place may fail. Consequently, the fear of compromising private data has slowed down the implementation of cloud computing. Finding a cloud provider that is experienced in incident response plans, containment and is capable of safeguarding your data is not an easy task. You must keep in mind that if the cloud provider fails, you will be under fire as well. For the reason mentioned above, transparency regarding legal compliance measures and security is more important than ever before. Healthcare entities struggle to find vendors that are forthright regarding their legal compliance and security measures. Vendors that do not disclose such information prevent the cloud client from having any control over the safety of the data or assessing the legal or security risks themselves. Flexibility in access to healthcare information is a double edged weapon. While it is a necessity for cloud-based data to be easily obtained through mobile devices, this poses a major security risk. Without enforcing strict regulations on employees accessing PHRs through an unsecured device, it can quickly become an epidemic that spreads through organizations. It is quite difficult to monitor and regulate shadow IT without the use of certain software, which will pile up additional costs for the company. 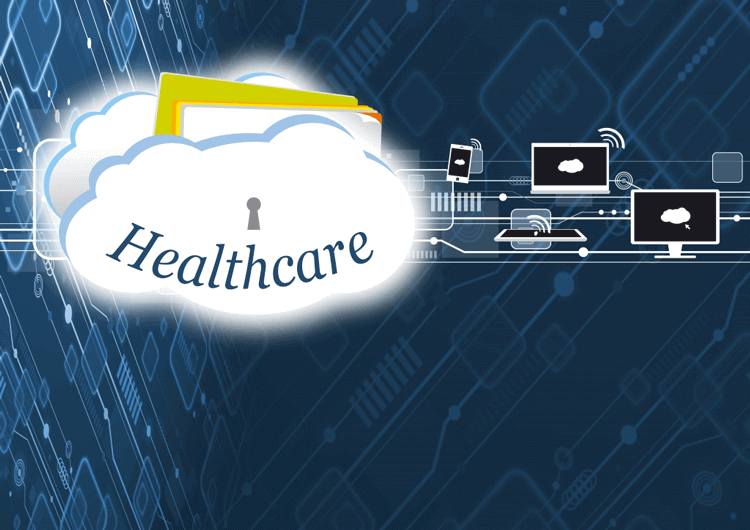 Cloud outages are a prevalent issue preventing healthcare entities from transitioning to the cloud. But while any other industry may view this as an irritating inconvenience or loss of business, downtime in healthcare can mean a potential loss of life. When WannaCry breached the UK's National Health Service (NHS), surgical operations were cancelled. For this reason, organizations must partner with cloud vendors that can provide a software with high performance levels, minimal downtime and updates that can be installed while the system remains online.